Provides a proven approach to algorithms & data structures using the exciting Java programming language as the implementation tool. 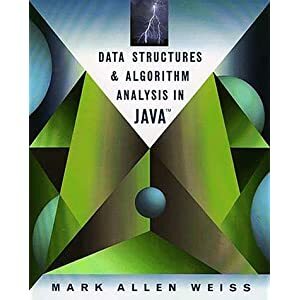 With Java, the author highlights conceptual topics, focusing on ADTs and the analysis of algorithms for efficiency as well as performance & running time. DLC: Java (Computer program language). Contains extensive sample code using Java 1.2, which is available over the Internet. Covers the Java Collections Library in an appendix. Presents current topics and new data structures such as Fibonacci heaps, skew heaps, binomial queues, skip lists, and splay trees. Offers a chapter on amortized analysis that examines the advanced data structures presented earlier in the book. Provides a chapter on advanced data structures and their implementation, covering red-black trees, top-down splay trees, treaps, k-d trees, pairing heaps, and more.